Agenda 21, a nonbinding United Nations global sustainability plan signed by the United States more than 20 years ago, is being used by extremists and mainstream politicians to stoke fears and stifle rational policymaking across the country, according to an SPLC report released today. 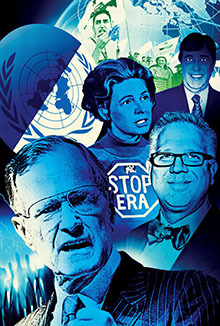 The report, Agenda 21: The UN, Sustainability and Right-Wing Conspiracy Theory, examines how activist groups like the John Birch Society are pushing conspiracy theories that have led some states to pass resolutions condemning the document and one to enact legislation intended to outlaw its effects. It also describes how lawmakers have been swept from office for their support of Agenda 21. In one Alabama county, an entire planning and zoning commission resigned in disgust after an award-winning smart-growth plan was killed over groundless Agenda 21 fears. Alabama recently passed a law meant to outlaw any effects of the plan. The legislatures of Kansas, New Hampshire and Tennessee all passed state resolutions condemning it. Similar needless laws have been approved by one chamber of the legislatures in Arizona, Missouri and Oklahoma. And political fights over it have broken out in at least half a dozen other states and countless local communities, according to the report.